Written communications like text and email can often read as cold and toneless. Using emojis can inject humor and feeling, keeping intent clear. Texts, instant messages and emoji may seem like the domain of millennials and younger generations, but can these real-time messaging tools have a positive impact on business? While the idea of sending messages with smiley faces to colleagues may seem odd to some, the fact is that these messaging platforms are transforming the workplace — and emoji are part of the package. In Asia, platforms like WeChat and Line are growing rapidly, with users in the hundreds of millions, both at work and play. The popularity of these messaging tools and the visual communication style associated with them is spreading globally. 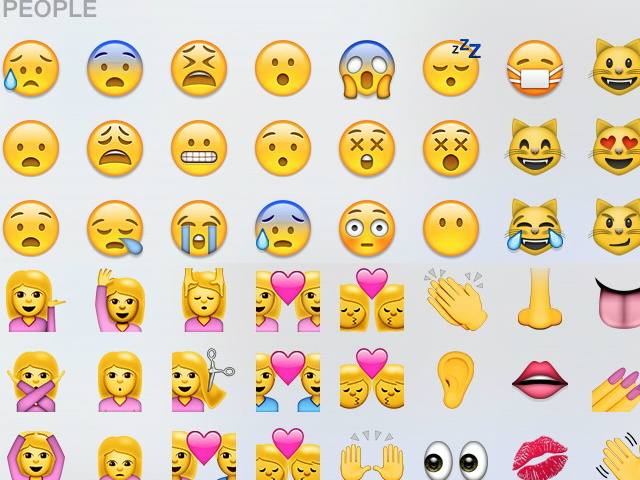 It’s been reported that 76 percent of U.S. employees are using emojis at work. There are many persuasive reasons for businesses to consider a transition to messaging platforms and image-punctuated communications. Western cultures have learned that by combining chat with visuals, we can create more expressive, clearer and friendlier communication. Written communications like text and email can often read as cold and toneless. Using emojis can inject humor and feeling, keeping intent clear. Messages feel more casual and conversational, encouraging better and more frequent communication and even helping to keep employees motivated. The result can be more effective collaboration among remote teams, as well as teams that are diverse in age, cultural background and technical ability. The real-time nature of connection in these messaging platforms can also facilitate better communication: teams can text, send images, share information and even video chat in seconds. In uncertain economic times, more and more Baby Boomers are continuing to work, even as younger generations enter the workforce. In any given office, employees can range from age 22 to 70 and beyond, and finding common ground in communication style can be a challenge. Emoji can help bridge the gap. The digital natives of younger generations communicate by mobile first and use emoticons as part of their everyday language. They prefer to communicate visually, using emoji as a proxy for facial expression when they cannot meet face-to-face. This segment of society prefers texting instead of phone calls and Snapchat messaging instead of email. Communicating with them on their terms may help build a relationship. An easy way to bring all work generations together is with a chat platform. For those used to working with traditional tools like email, it may feel like a learning curve, but actually, the hurdle will be primarily cultural. The good news is that it’s simple to learn and can be worth the effort. Ultimately, anyone, including seasoned managers, will likely find it easier to send a foaming beer or thumbs-up emoji to the team in recognition of a job well done, rather than composing a lengthy email. Email platforms fail to support workplace productivity. Consider how much of your own morning is dedicated to sifting through your inbox in search of what is relevant and important. It’s overflowing with cries for attention and very few of them generally pertain to the project at hand. It’s stressful and can drain one’s energy before the first task of the day is tackled. Newer chat platforms address this email overload with “chat rooms” that organize conversations by team or project, making it simple to whip through messages. Project-related chats stay in context with the project. Responding to each message takes seconds, saving hours a day. There is also the issue of tone. Who hasn’t received an email so negative that it ruined an entire day? Even an email that is too formal can seem cold and unfriendly. Emoji can help communication feel friendlier and even a stern or critical note can be softened with an encouraging smile or thumbs-up.